Breaking down tests to reconcile a student’s abilities. Tests can be coached. Specifically, we can breakdown sections, understand pacing, and instill confidence. Test prep companies and private tutors lay claim to inventive approaches, keen methodologies, and huge success rates. Yet today's acing of a test remains largely consistent with the principle Stanley Kaplan popularized in his Brooklyn basement 75 years ago: a tutor's ability to teach in a way the student can execute. At E2, we don't try to blend a learning of curriculum, or idealistic professions of a love of learning. We teach the student a test using methods, nuances, tricks, and approaches that were born long before we got into this business. We, however, do it with just a small number of elite coaches, using time-tested test preparation strategies. The vast majority of high school students will not take these tests. However, for Ivy league and highly competitive private universities, two Subject Tests are required. 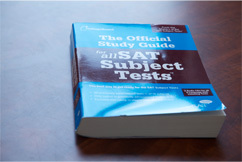 The SAT Subject Tests are an hour and a half in length. Students may take two of the Subject Tests per date. 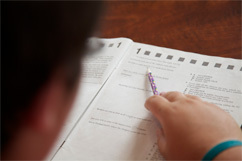 As with the ACT and SAT, students will only submit their best score; though some highly competitive schools, such as the University of Pennsylvania, will require scores from all test dates. Many former ACT students return to E2 to prep for the Graduate Record Examination. Similar to the ACT, the new GRE format began in 2001. The new GRE consists of one 30-minute Analysis of an Issue essay, one 30-minute Analysis of an Argument essay, two 30-minute Verbal Reasoning sections, and two 35-minute Quantitative Reasoning sections. The test of Generation X, the SAT is not required for the majority of high school students. Most colleges accept the ACT in lieu of the SAT. 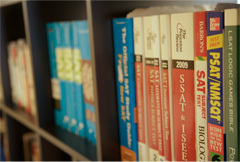 The SAT sections include Math, Reading Comprehension, Writing (similar to the ACT English) and an Essay. There is no Science section. There are vocabulary questions imbedded within the Reading Sections. The Reading Comprehension is more difficult than the ACT Reading Section, though the pacing on the SAT is more forgiving. Chicagoland's most innovative and results-oriented test preparation program.